It’s heartbreaking to hear and see in the news dogs dying in hot cars. There’s just been too many dog deaths because of this. Leaving your dog even for just a few minutes or even a minute in a parked car can cause serious injury and even death. Heatstroke is not a joke and in just minutes, it can kill your dog. 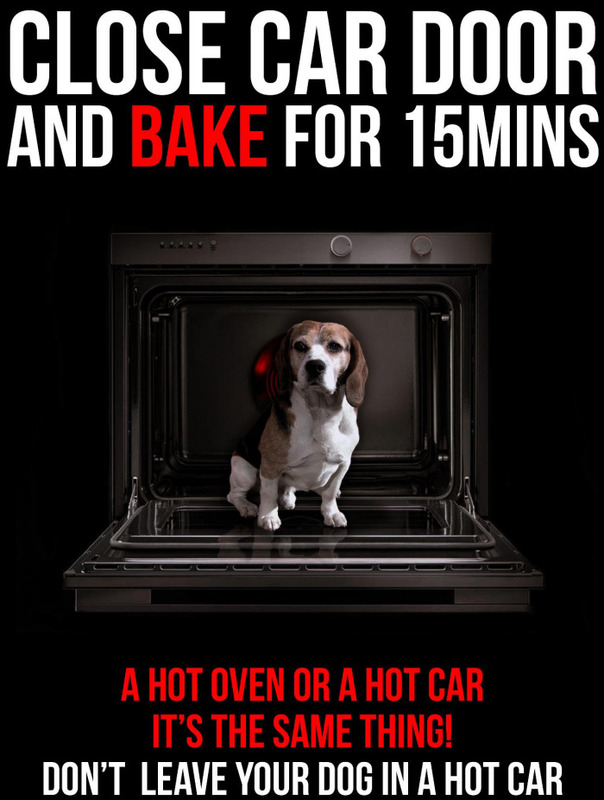 So please, don’t ever leave your dog in a hot car. Never leave your dog in a hot car. As a dog owner, you can demand from your local government to make a law that makes it illegal for dogs to be left in hot cars. Doing so can save hundreds of dogs from extreme suffering and or death. So far, in the United States, only 17 states have such a law. If you’re in Tennessee, you have the option to break the car windows. It’s legal for you to do so. A new law in Tennessee has been passed making it legal to break into hot cars to save animals. Tennessee is the 17th state to have a law protecting dogs and other animals in hot cars. Here are 16 other states that have laws protecting animals in hot cars. California – In California animals are given the same protection. Under the California Penal Code Section 597.7, it is illegal to leave or confine an animal in any unattended motor vehicle under conditions that puts an animal’s health or well-being in danger due to heat, cold, lack of adequate ventilation, lack of food or water, or other circumstances that could reasonably be expected to cause an animal suffering, disability or death. Illinois – Illinois gives the same protection to animals with the Humane Care for Animals Act which states it is illegal to confine any animal in a motor vehicle in such a manner that it puts the animal in a life or health threatening situation due to exposure to a prolonged period of extreme heat or cold, lack of proper ventilation or lack of protection from such heat or cold. Maine – In Maine as per 7 MRSA § 4019, you can legally break a window if you see that an animal’s safety, health or well being seems to be in immediate danger from heat, cold, or lack of adequate ventilation and the conditions can reasonably be expected to subject the animal to extreme suffering or cause its death. North Carolina – NC statute 14.363.3 makes it illegal to confine an animal in a motor vehicle under conditions that are likely to cause suffering, injury, or death due to hear, cold, lack of adequate ventilation, or other endangering conditions. Nevada – NRS 574.195 states a cat or dog can not be unattended in a parked or standing motor vehicle during period of extreme heat or cold or in any other manner that endangers the cat’s or dog’s safety or health. New York – New York’s Animal law § 353-d protects companion animals from being confined in motor vehicle in extreme heat or cold without proper ventilation or other protection where confinement puts them in imminent danger of death or serious injury due to exposure. North Dakota – NDCC ST 36-21.1-03.1 makes it illegal for a dog or cat to be left unattended in a stationary or parked motor vehicle in a manner that endangers the health or safety of the animal. West Virginia – West Virginia Code §61-8-19E says that leaving an animal unattended and confined in a motor vehicle when physical injury to or death of the animal is likely to result is a criminal behavior. A Reminder to All Dog Owners: Dogs Die In Hot Cars!